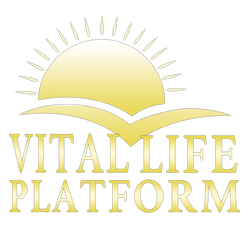 Testimonials for the Vital Life Platform - Vital Life Platform | Better Than Ever! Oh Dodee, you are a godsend. Thanks so much for your welcomed information. I can tell you are such a gorgeous hearted person to share so freely with a soul in need of some guidance. Thanks so much again, oodles of gratitude. "u have inspired me to change my habits, and I have... keep up the good work thank you"
Its been ages since I communicated with you, I do receive your emails and updates on events; it is wonderful what all of you, are doing. Thank you for establishing a foundation for vital healthy living! I admire your work with the Vital Life Foundation, you all look so radiant and lively, it is a great message to the world! "I highly recommend Lou Corona's classes, wherein he teaches four keys to health and longevity. Lou's awesome physical and mental health radiates the power of the raw, vegan diet." "All of you at vitallife foundation have inspired me to drastically shift my paradigm of health. Im truly grateful for all that you have done and continue to do. I'm currently fasting and anticipating my first order of enzymes to experience a new level of living. Grace and peace to all of you!!" Thank you so much for your guidance the other day. I took your advice and immediately started to feel better. I am glad to have met you guys! and help me see things in a bigger scope. I love the foundation and look forward to deeper levels of understanding. "Tyler and Lou thank you so much for another amazing night. Its been such a blessing soaking up all the inspiration and knowledge." Just have to share with you my testimonial on your probiotic blend powder. I originally purchased it to make Lou's coconut yogurt. But at the health store they were demoing this gum with probiotics in it and the health benefits of it. So when I got sick with a bad sore throat I thought why not put a scoop of your probiotic blend under my tounge. Well instantly I felt relief and by the next day the sore throat was gone. I have done this twice now and it works like a charm every time. So thank you for such a wonderful powerful product.